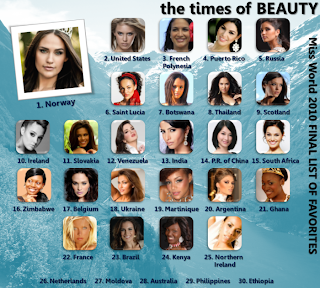 This is the final list of favorites for Miss World 2010 at TimesOfBeauty.com. 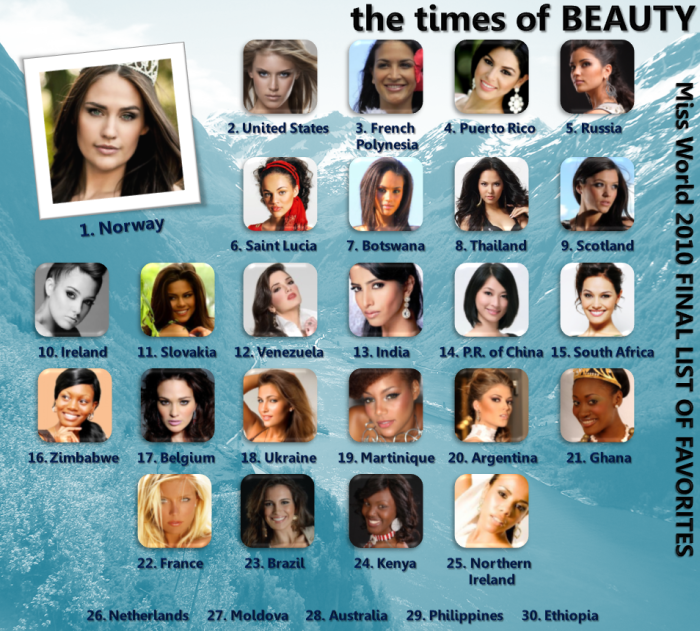 Norway is our final favorite, followed by United States and French Polynesia. 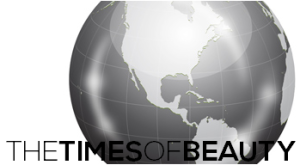 Puerto Rico, Russia, St. Lucia, Botswana, Thailand, Scotland and Ireland complete our Top 10.We wish the very best to each of the 115 contestants competing at the world's greatest beauty contest and we hope that whoever wins the crown is worthy to be called Miss World.